A Bird Hunter's Thoughts: Hey, Honey! Want to go for a ride? Just smell the aroma of guy stuff! So, it's Labor Day! It's also my birthday! The Ball and Chain and I were sitting in the living room pondering life and making it alive to another year, when an idea popped in to my head. "Honey, I may need some stuff at the store." "What stuff? ", she queried. "I'll know it when I see it." was my considered response. So, off we went to the land of orange and camo. Down here, bird hunting is an after-thought. Real men hunt deer, big bucks, and stuff like that. The local shop in Macon, in fact all the stores of that genre in this area, hit the deer, turkey hunting and fishing equipment real hard. Dog stuff is mainly for duck dogs. But, there are training collars and other gear that would cross the lines from duck/deer/turkey/dove hunting over to the sport of gentlemen. 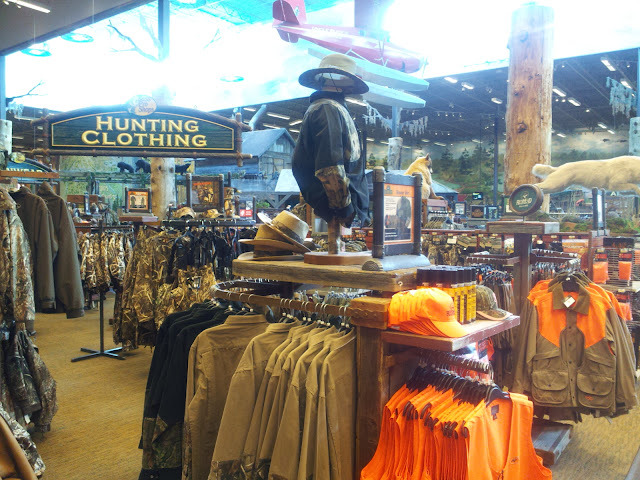 I like just being where men and women are trying on boots, guns, camo and stuff. Videos of deer kills and stalking, and cleaning carcasses are running continually throughout the store....ahh, sweet music of the outdoors! I did manage to find a buy on ammo and bought a box or two to get me started. I will order the rest of the best stuff from www.uplanders.com in a week or so. With the good prices and free shipping (over $100), it's a deal that can't be beat.